As NATO soldiers practise how to fight a war in Europe, its political leaders are practising how to react to one. In the wake of Russia's annexation of Crimea two years ago, the world's most powerful military alliance has sharply increased its focus on Europe, shoring up the defences of its worried eastern European members and beginning to think once again about how it might defend them in a scenario it once thought had become unthinkable: a Russian invasion. But while NATO troops are ready for a rapid reaction on home turf, the heads of government of its member states are not, warns its top military commander. "It's one of the lessons from Ukraine," says General Denis Mercier, former head of the French air force and now supreme allied commander for transformation, one of the two top military jobs in NATO. "High responsiveness relies on two points. On the military side, it relies on the ability to operate very quickly. But it also relies on responsiveness in political decisions." To deploy troops for defence and reassurance or to actively fight requires a decision by the North Atlantic Council (NAC), NATO governing political body. But securing consensus to act from its members — particularly in circumstances where events on the ground are murky — has proved to be a sometimes tortuous process. Other non-military threats, such as cyber crime, where the perpetrators are often obscured, gives another dimension to the scope of NATO remit, he adds. "Now we are facing scenarios where the threshold of the crisis is not clear, hybrid scenarios with non-state or covert actors." Gen Mercier's command, based in Virginia, is charged with constantly adapting structures and military capabilities within the alliance to keep it strategically and tactically relevant. Military strategists within NATO have been warning for some time that Russia's entire strategy is focused around creating challenges and provocations that are fluid, hard to read and consequently politically paralysing. As Russia's intervention in Ukraine showed, tweets and status updates, if analysed correctly, cannot only provide intelligence just as compelling as that from classified sources, but they can also do it quicker. A list of NATO military shortcomings is being drawn up by the general and his team and will be presented to defence ministers next year. It is likely to recommend more aircraft able to quickly reinforce the alliance's eastern frontier and additional ships to ply the seas around Europe. NATO has released footage showing how the U.S. Marines performed their first ever amphibious landing in Ukraine alongside their Ukrainian allies in the Black Sea. ”Fifteen Amphibious Assault Vehicles, packed with both U.S. and Ukrainian marines, secured a beach south of the port city of Odesa before heading inland as part of the annual multinational naval exercise Sea Breeze,” according to the video posted on NATO`s Facebook page. This year the U.S. Navy deployed two ships, the USS Ross, a guided missile destroyer, and the USS Whidbey Island, which acted as a launching pad for the amphibious operation, it said. The joint Ukrainian-U.S. military exercises Sea Breeze in the Black Sea regions of Odesa and Mykolayiv lasted from July 18 to July 30, 2016. In addition to the Ukrainian and U.S. Navies, representatives of 11 other countries took part in the manoeuvers, namely Bulgaria, Georgia, Greece, Lithuania, Italy, Moldova, Poland, Romania, Sweden, Turkey, and the United Kingdom. U.S. participation included over 350 sailors, the dock landing ship USS Whidbey Island (LSD 41), the guided-missile destroyer USS Ross (DDG 71), a P-3C Orion (antisubmarine and maritime surveillance) aircraft, members of the Fleet Anti-terrorism Security Team (FAST) and embarked Marines aboard the USS Whidbey Island among others. L'ancien Secrétaire Général de l'Alliance croit que l'Occident finira par donner à l'Ukraine des armes létales. Au moins pour lui donner des moyens de (vraie) défense et montrer qu'il en coûtera (encore plus) cher à la Russie en cas de continuation (prolongation?) du conflit. In his annual address to the Parliament, President Petro Poroshenko emphasized the immutability of the priority of Ukraine's accession to the North Atlantic Alliance. “Our strategic goal is NATO membership. I insist: this pointer is motionless for us as the North Star in the starry sky,” Petro Poroshenko emphasized. “We do everything in the defense sphere firmly holding a compass the needle of which points at the North Atlantic. And it directs us to full compatibility with NATO standards, not only in the military sphere,” the President said. The Head of State noted that Ukraine had reached the unprecedentedly close level of cooperation with NATO countries. “And we will increase, expand and enhance it until the achievement of full membership criteria,” he added. “It is important that in 2.5 years, the number of supporters of Ukraine's accession to NATO has increased significantly and it substantially exceeds the number of opponents today. But the given issue still has significant differences between macro-regions,” the President stressed. “We should also be aware that the Alliance has no consensus on Ukraine's membership as well. Yes, formally the door has been open since the Bucharest Summit 2008. But this door is sensory and may close if we come closer too fast. Therefore, every step must be weighed and pre-calculated in order to avoid the repetition of the Membership Action Plan eight years ago. I want to emphasize that the measures we take now are much greater than the Membership Action Plan of 2008,” the Head of State added. NATO's Secretary General Jens Stoltenberg said that the Alliance supports Georgia's aspiration to join the organization. "As an aspirant country, Georgia has all the practical tools to prepare for NATO membership", Jens Stoltenberg said at the NATO-Georgia Commission meeting in Tbilisi, on September 7. A meeting of the NATO-Georgia Commission – chaired by Secretary General Jens Stoltenberg – is set to bring together ambassadors from all NATO Allies with Prime Minister Giorgi Kvirikashvili to discuss Georgia's contributions to transatlantic security, regional security (including the Black Sea region) and Tbilisi's reform progress, the NATO reports. The NATO is unanimous in supporting Georgia in this direction, the Ukrainian news outlet Hromadske quoted Stoltenberg as saying. Also, the NATO assures that its support for Georgia's reform efforts and its goal of integration in Euro-Atlantic institutions is a priority for cooperation. Georgia's accession to NATO "is the firm will of the Georgian people, and the government is doing everything possible to implement the people's choice", Georgia's Prime Minister Giorgi Kvirikashvili said at the open part of the Commission meeting. NATO Secretary General Jens Stoltenberg arrived in Georgia on September 7 to examine the progress made by the country to join the Alliance, the NATO reports. On 8 September, the NATO delegation will meet with President Giorgi Margvelashvili and other top officials. The NAC will also visit the NATO-Georgia Joint Training and Evaluation Centre, which is helping to enhance the interoperability of forces from Georgia, NATO Allies and partners through training and exercises. NATO and Russia are in a missile race, and Poland may have just raised the stakes. Five other NATO countries already deploy the Patriot system — which can knock down missiles, drones, and small aircraft — but none are as far to the east as Poland, nor so close to Kaliningrad, a Russian exclave which is already bristling with missile systems and other advanced Russian military hardware. 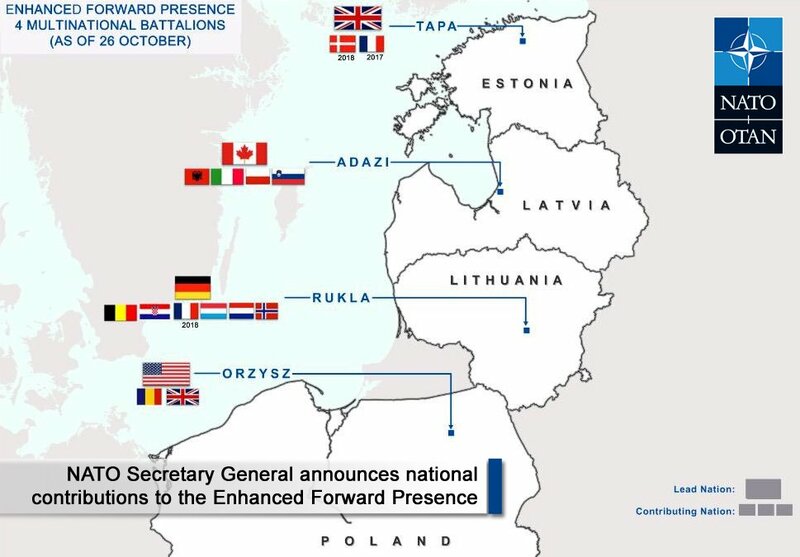 Poland has been in talks with various defense contractors for several years about building a missile defense capability, but Russia’s likely deployment of Iskander advanced nuclear-capable missiles to Kaliningrad by 2019 seems to have forced Warsaw’s hand. Each Iskander battery has two guided missiles with a range of about 300 miles. Russia has already sent Iskander systems to Kaliningrad twice for exercises, but has later withdrawn them. “We also need to have an answer to it. Those Iskander missiles can hit Poland but also Germany,” Polish Defense Minister Antoni Macierewicz said earlier this year. He added Tuesday that his country plans to eventually buy eight Patriot missile batteries, and while he wouldn’t discuss cost, the deal could be worth as much as $5.6 billion. Poland had considered buying other missile defense systems, including Lockheed Martin’s Medium Extended Air Defense System (MEADS) and Israel’s David’s Sling, but both of those are still under development and Polish officials needed a quick fix. The Iskander deployment is itself a response to the installation in May of a new U.S.-built missile defense system in Romania, which Moscow sees as a direct threat to its aircraft. Plans for the Aegis Ashore Missile Defense System had been in the works for years, and U.S. and NATO officials have long said that the system was put in place to protect Europe from Iranian missiles. But the Russians have rejected that explanation. But while Moscow complains about NATO shrinking its airspace, the Kremlin has built its own wall of defensive systems stretching from Syria to the Finnish border, including an S-400 sent to Crimea in August that has a range of up to 250 miles. The Institute for the Study of War’s Kathleen Weinberger wrote in an analysis last month that the deployments of the S-400 air defense system create “bubbles” that deny the airspace to NATO aircraft over much of the the Baltic States, significant portions of Ukraine and the Black Sea, as well as northern Poland, Syria and parts of Turkey. Tougher air-defense systems threaten to create possible “no-go” zones for U.S. fliers, she said. Le Secrétaire général de l’Otan Jens Stoltenberg a affirmé que la Géorgie se rapprochait d’une adhésion à l’Alliance atlantique, à laquelle s’oppose vigoureusement la Russie. “Vous continuez de renforcer vos institutions démocratiques et civiques et cela a aidé la Géorgie à se rapprocher de l’Otan“, a déclaré M. Stoltenberg après des pourparlers à Tbilissi avec le Premier ministre géorgien Guiorgui Kvirikachvili. Le Secrétaire général doit présider lors de sa visite de deux jours dans le pays des réunions du Conseil de l’Atlantique Nord, la plus haute instance de l’Otan, et du Comité Géorgie-Otan, chargé de superviser le processus d’adhésion de l’ex-république soviétique. Comme l’Ukraine, la Géorgie espère intégrer l’Alliance atlantique, dont les dirigeants avaient promis en 2008 qu’elle pourrait un jour rejoindre l’organisation. Le petit pays du Caucase a ensuite connu une brève guerre avec la Russie et les troupes russes sont depuis positionnés en Abkhazie et en Ossétie du Sud, deux régions sécessionnistes. Inquiète de la présence de forces de l’Otan près de ses frontières, la Russie s’oppose catégoriquement à l’entrée du pays dans l’Otan. President Petro Poroshenko held negotiations with NATO Secretary General Jens Stoltenberg. The President informed on the situation in Donbas and emphasized that sanctions against Russia must be continued until full implementation of the Minsk agreements by the Russian Federation. The Secretary General of NATO confirmed that the Alliance supported Ukraine’s position concerning sanctions. The parties discussed further reforms of the defense sector of Ukraine aimed at the achievement of the NATO standards. Petro Poroshenko thanked the Alliance for the assistance in treatment of Ukrainian servicemen. NATO Secretary General Jens Stoltenberg met with several world leaders on Wednesday (21 September 2016) in the margins of the United Nations General Assembly in New York. In talks with Iraqi Prime Minister Haider al-Abadi, Mr. Stoltenberg welcomed Iraq’s progress in the fight against ISIL. Both leaders agreed on the importance of NATO’s support to Iraq in building more effective security and defence forces. At the Warsaw Summit, Allies agreed to provide in-country training and capacity building support to Iraq, complementing existing NATO training for Iraqi officers in Jordan. Meeting with Ukrainian President Petro Poroshenko, the Secretary General reaffirmed NATO’s strong political and practical support for Ukraine. In Warsaw, Allies endorsed a Comprehensive Assistance Package to help Ukraine better provide for its own security. The Secretary General also held a separate meeting with OSCE Secretary General, Ambassador Lamberto Zannier, to discuss strengthening cooperation between the Alliance and the OSCE. The two leaders exchanged views on the security situation in Ukraine and efforts to modernise the Vienna Document on military transparency. Later on Wednesday, the Secretary General is scheduled to meet with Russian Foreign Minister Sergey Lavrov, UN Secretary General Ban Ki-moon, and UK Foreign Secretary Boris Johnson. Secretary General of NATO Parliamentary Assembly David Hobbs says NATO has expressed its readiness to provide more support to Ukraine in the fight against the aggressive actions taken by Russia and Russian-backed militants in eastern Ukraine. He made the statement at a meeting with newly appointed head of the permanent delegation of the Verkhovna Rada of Ukraine to the NATO Parliamentary Assembly (NATO PA), Iryna Friz, the Mission of Ukraine to NATO wrote on Facebook on Thursday. At the meeting, the sides agreed the schedule of interaction until the end of the year and outlined the format of Ukrainian delegates` participation in the NATO PA autumn session to be hosted by Istanbul. Further, Friz briefed Hobbs about the latest developments in the security situation in the east of Ukraine and gave the insight of negotiations held in the Normandy and Minsk formats. Hobbs in turn reiterated the unchanged position of the NATO Parliamentary Assembly in support Ukraine in countering illegal and aggressive actions of Russia and the militants it backs. ”The NATO PA`s readiness to further strengthen that support has been confirmed. Holding a meeting of the NATO-Ukraine Inter-Parliamentary Council in a region in eastern Ukraine in the near future was discussed in this aspect,” the mission said. Dans un discours prononcé à l'occasion de la conférence de l'OSCE sur la sécurité, qui s'est tenue à Vienne ce lundi 3 octobre 2016, le secrétaire général délégué de l’OTAN, Alexander Vershbow, a présenté les principales mesures à prendre pour renforcer la sécurité euro-atlantique. Tandis qu'il participait à un débat de groupe sur la prévention et la gestion des situations susceptibles de donner lieu à des incidents militaires en temps de crise, l'ambassadeur Vershbow a insisté sur l'importance de moderniser le Document de Vienne relatif à la transparence militaire. Le secrétaire général délégué a fait observer que les conditions de sécurité dans la région euro-atlantique s'étaient nettement détériorées depuis que la Russie a, il y a deux ans, annexé illégalement la Crimée et lancé ses actions agressives – toujours d'actualité – contre l'est de l'Ukraine. Il a souligné que l'OSCE était l'enceinte la plus appropriée et la plus inclusive pour aborder et régler les questions de transparence militaire, de réduction des risques et de développement de la confiance. « Utiliser plus largement l'OSCE comme cadre de négociations aiderait aussi à rétablir la confiance entre les 57 États membres », a-t-il ajouté. L'ambassadeur Vershbow a encouragé la Russie à dialoguer avec les pays de l'OTAN sur le renforcement du Document de Vienne, notamment pour ce qui est d'abaisser les seuils de notification et d'observation des exercices militaires. S'agissant de l'Ukraine, il a fait observer que l'une des mesures de confiance cruciales serait de permettre à la mission spéciale d'observation de l'OSCE d'accéder librement aux zones de désengagement, et d'accéder sans conditions à la zone frontalière entre l'Ukraine et la Russie. Le secrétaire général délégué a souligné que l'OTAN continuerait d'œuvrer en faveur d'un véritable dialogue avec la Russie et de plaider pour un retour aux principes fondamentaux au cœur de la sécurité euro-atlantique. Head of the Verkhovna Rada delegation Hanna Hopko and Head of the delegation of the NATO Parliamentary Assembly Sverre Myrli have issued a statement after a meeting of the NATO-Ukraine Interparliamentary Council, which was held in the city of Dnipro on Wednesday, saying that Ukraine's first priority is to achieve full and lasting ceasefire. "Russia continues its illegal occupation of the territory of Ukraine, is actively supporting armed militants, and flagrantly violating its international obligations. The Interparliamentary Council reiterated its full and unwavering support for the sovereignty and territorial integrity of Ukraine within its internationally recognized borders," reads the statement published by chair of the permanent delegation to the NATO PA, MP Iryna Friz of the of the Poroshenko Bloc faction on her Facebook page. The Interparliamentary Council has extensively discussed the security situation in Ukraine, met with representatives of local authorities, the command of the Ukrainian army, volunteers and public activists, and international humanitarian organizations operating in the east of Ukraine. Members of the Inter-Parliamentary Council also visited a local hospital, where Ukrainian soldiers are treated. "As part of these meetings, they noted that the security situation in eastern Ukraine remains unstable, in particular violations of the ceasefire continue, as well as constant attempts of Russia-backed militants to destroy the recent decision on the withdrawal of forces from these areas, and their preventing the activities of the OSCE SMM in Ukraine," the statement reads. Members of the Interparliamentary Council have expressed particular concern over the humanitarian situation in the territory under the control of militants, as well as the lack of progress in the liberation of Ukrainian hostages, that are held in Russia and in the territories controlled by militants. 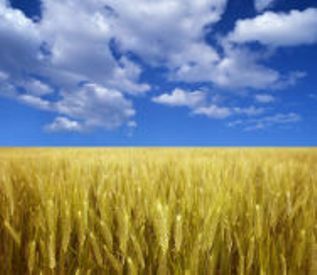 Members of the Inter-Parliamentary Council analyzed Ukraine's achievements in the reform of political, economic and defense areas, welcomed the progress made and call for increased efforts. The NATO-Ukraine Interparliamentary Council was established in 2003 and unites ten Ukrainian parliamentarians and their counterparts from ten NATO member countries. The Interparliamentary Council meets twice a year in Ukraine and in Brussels. Its purpose is to demonstrate parliamentary interest in identifying problems in the cooperation between Ukraine and NATO. Over time, the council has become an active political forum, where parliamentarians from Ukraine and NATO member states can discuss any issues of public interest. President Poroshenko, Dear Petro, it’s good to have you back at NATO headquarters. It’s great to see you again. We just met in New York in connection with the UN General Assembly in September. And then we met in Warsaw Summit in July. And I think that the high frequency of our meetings reflects the very close cooperation and partnership between NATO and Ukraine. So it’s great to see you again and I really appreciate this opportunity to once again to address the very important issues of the situation in Ukraine and how NATO can continue to provide support to Ukraine. And the Ukraine crisis continues to be a black mark on the map of Europe. We know that thousands of people have been killed and many, many injured. NATO’s support for Ukraine is unwavering. We will continue to support the territorial integrity and sovereignty of Ukraine. And we do not – and we will not – recognise Russia’s illegal annexation of Crimea. And we are very much concerned about Russia’s continued destabilisation of eastern Ukraine. For months the full implementation of the peace deal has stalled. That is why I welcome that you had a meeting yesterday in the “Normandy Format” in Berlin. And I thank you for updating me on the outcome of that meeting and the discussions you just had. Including the plan to create a new road map for implementing the Minsk Agreement. And it is essential to implement the Minsk Agreement, because the Minsk Agreement is the only viable way to a lasting, peaceful solution to the crisis in eastern Ukraine. All parties must fully implement the Minsk Agreement. Ukraine has responsibilities to implement its commitments, but Russia has a significant responsibility in this regard, because it continues to support the separatists. And we know that the OSCE monitors must have safe access to the whole territory to be able to implement the agreement and we have seen that they have been hindered in doing that several times. We have also seen that threats against the monitors and the jamming of the UAVs are undermining the implementation of the Minsk Agreement. And these actions are unacceptable because they are in total violation of the Minsk Agreement. Ceasefire violations must end and we cannot allow these ceasefire violations to become ‘the new normal’ in Ukraine. NATO and NATO Allies will continue to support Ukraine. We will provide practical support and we will provide political support. We will provide support through our different trust funds. Helping you build security institutions. And we will work on areas for instance such as cyber-defence and the rehabilitation of wounded soldiers. And in other areas to help and support Ukraine in different practical ways. Ukraine, for its part, has to continue to implement reforms, fight corruption and I welcome your personal engagement in pursuing the path of reforms in Ukraine. So once again it has been a great pleasure to meet with you. But let me also add that in addition to the situation in Ukraine, we also discussed the very serious situation in Syria. Because also in Syria we see a Russian presence and we have seen a substantial military build-up of Russia in Syria. I welcome the temporary ceasefire in Aleppo but this does not go nearly far enough. Following weeks of Syrian and Russian strikes against civilian infrastructure –including hospitals – the humanitarian situation in Aleppo is appalling. We need a real solution on the ground in Aleppo. Not a short-lived ceasefire. But one that addresses the desperate humanitarian crisis. And which will lead to a credible cessation of hostilities. And therefore I join the international community in its calls on Russia to help end the bloodshed in Aleppo. And to play a constructive role in finding a negotiated solution to the crisis. So once again Petro, it’s always a great pleasure to have you here and good to have you back at NATO headquarters, so welcome. NATO Secretary General Jens Stoltenberg welcomes the outcome of the Normandy Four negotiations and calls on all sides to implement Minsk agreements, he said during a joint press conference with Ukrainian President Petro Poroshenko in Brussels, according to UNIAN. 'I welcome that you had a meeting yesterday in the 'Normandy Format' in Berlin. And I thank you for updating me on the outcome of that meeting and the discussions you just had, including the plan to create a new road map for implementing the Minsk Agreement,' Stoltenberg said. According to the NATO chief, it is essential to implement the Minsk Agreement, because they are the "only viable way to a lasting, peaceful solution to the crisis in eastern Ukraine." 'All parties must fully implement the Minsk Agreement. Ukraine has responsibilities to implement its commitments, but Russia has a significant responsibility in this regard, because it continues to support the separatists,' Stoltenberg said. Red also: How did sanctioned Putin's aide come to Berlin talks? The NATO secretary general said the Bloc's support for Ukraine is 'unwavering'. 'We will continue to support the territorial integrity and sovereignty of Ukraine,' he said. Ukrainian President Petro Poroshenko during a meeting with NATO Secretary General Jens Stoltenberg in NATO Headquarters in Brussels discussed the issues of deepening cooperation between Ukraine and NATO, according to an UNIAN correspondent reporting from a joint briefing of the two leaders. The Ukrainian president said he discussed with Mr Stoltenberg the opportunities for deepening cooperation between Ukraine and NATO, expressing gratitude for the Alliance’s support in enhancing Ukraine’s defense capabilities, reforming the country’s defense sector and providing consultative and technical assistance in developing the security and defense sector. "No less important is deepening Ukraine-NATO cooperation in strengthening regional security and countering security challenges created by the Russian aggression. And in this context we have shared the opinion on the necessity of increasing mutual situational awareness and interoperability of the armed forces. This is the new format of cooperation under the so-called NATO Enhanced Opportunity Program," said the Ukrainian president. "We have agreed to analyze the opportunities of cooperation in this field. I would like to express my gratitude to NATO and to Secretary General Stoltenberg personally for the very strong and unwavering support for Ukraine in its fight against Russian aggression. Alliance’s solidarity with Ukraine is of utmost importance for us," Poroshenko said. President Poroshenko has also expressed hope that NATO will keep pressing on Russia until Moscow fully implements Minsk agreements. Il a semé, là il récolte . . .
President Petro Poroshenko introduced new head of the Chief Directorate of Intelligence of the Ministry of Defence of Ukraine Vasyl Burba to the staff. The Head of State emphasized that over the past two years, the activity of the intelligence directorate had been improved significantly. He also noted drastic change in quality of information provided by the intelligence officers. The Head of State drew special attention to the improvement of the level of interaction between scouts and other security structures, as well as to the exchange of information with respective structures of Ukraine’s states-partners. “I have no doubt that this appointment will give a new impetus to the activity of military intelligence of Ukraine,” Petro Poroshenko said. The President emphasized the importance of intensifying the work of scouts to ensure the efficient activity of both Ukrainian military and diplomats. The Head of State presented state awards to the staff of the Chief Directorate of Intelligence of Ministry of Defence of Ukraine for their courage and heroism in the protection of Ukraine’s territorial integrity. 38-year-old Vasyl Burba graduated from the law faculty of the National Academy of the Security Service of Ukraine. He has been working in the Security Service of Ukraine for a long time. He is the ATO participant. By the President’s Decree of October 15, 2016, he was appointed head of the Chief Directorate of Intelligence of the Ministry of Defence of Ukraine. The NATO Support and Procurement Agency has completed a 12-month project to provide support to Explosive Ordnance Disposal (EOD) teams of the State Emergency Service of Ukraine (SESU). The initial aim of the project funded by the NATO Science for Peace and Security Programme (SPS), which was in response to a Ukrainian request for assistance, was to re-equip the SESU EOD Teams. Cooperation across the agency and particularly between the General and Cooperative Services Programme’s Random Brokerage and e-Supply Sections as well as the Transportation and Warehousing Division allowed for the timely acquisition, consolidation, passage through customs and delivery of 456 items, consisting of modern, specialist EOD and demining equipment, including four replacement team vehicles, to Ukraine. The last equipment was delivered to Kiev mid- September. The long-established and experienced SESU EOD Teams are primarily responsible for the continuing clearance of legacy Explosive Remnants of War (ERW) to make conflict-affected areas safe for the civil population. As part of this, Improvised Explosive Devices (IEDs) were encountered for which their legacy work had not prepared them. In order to address this shortfall, NSPA contracted experts associated with NATO Counter IED assistance programmes to conduct training for the SESU teams to provide them with the basic knowledge necessary to deal with ERW and IED tasks, using their existing skills as an emergency rescue service. The NATO Support and Procurement Agency (NSPA) is a customer-funded agency, operating on a "no profit - no loss" basis. The NSPA is the executive body of the NATO Support and Procurement Organisation (NSPO), of which all 28 NATO nations are members. Those nations are represented in the NSPO Agency Supervisory Board (ASB) which directs and controls the activities of the NSPA. Currently the Agency employs some 1,100 staff and is headquartered in the Grand Duchy of Luxembourg (Capellen), with operational centres in Luxembourg, France, Hungary and Italy. The NSPA brings together in a single organisation NATO’s logistics and procurement support activities, providing integrated multinational support solutions for its stakeholders. On 1 April, 2015, the NATO North Atlantic Council approved changes to the NATO Support Organisation Charter with the stand-up of the NATO Support and Procurement Organization, the NATO Support and Procurement Agency acting as its executive body. These changes mark the expansion of the Agency’s capability scope and the inclusion of major, multi-national weapons system acquisition in our broad capability set. The diagram below outlines our new capability portfolio for which the Agency offers products and services across the Agency’s business units – Central Europe Pipeline System Programme, the NATO Airlift Management Programme and Logistic Operations segment. Their capabilities are now seamlessly integrated across NSPA to effectively serve our customers, stakeholders, NATO and industry partners. NSPA will continue to support NATO by leveraging capabilities for new customers and geographic areas, and developing new capabilities as required in the future. Logistics Services and Project Management. The Agency will continue to look across each of these Capability Areas with its customers and stakeholders to identify, prioritize and pursue new products and services required to meet requirements as they evolve in the future. La Russie a critiqué le projet de déploiement de troupes américaines en Norvège, estimant que cela "n'améliorera assurément pas la situation sécuritaire en Europe du Nord". Membre de l'Otan, le pays scandinave a annoncé lundi que quelque 330 Marines américains seraient déployés par rotations à compter de janvier 2017 à l'aéroport de Vaernes, près de Trondheim, officiellement pour s'entraîner et manoeuvrer davantage avec l'armée norvégienne. Sur fond de tensions avec l'Occident autour de la crise en Ukraine et du conflit en Syrie, la Russie a critiqué ce déploiement à un millier de kilomètres à vol d'oiseau de son territoire. La Norvège et la Russie partagent une frontière dans le Grand Nord. "Stationner par rotations à Vaernes une unité de la force des Marines forte d'environ 330 soldats n'améliorera assurément pas la situation sécuritaire en Europe du Nord", a réagi un porte-parole de l'ambassade de Russie à Oslo, Maxime Gourov, dans un courriel laconique envoyé mardi soir à l'AFP. La Norvège, qui reconnaît être largement dépendante de l'Alliance atlantique pour la défense de son territoire, a présenté ce déploiement comme un test qui ferait l'objet d'une évaluation l'an prochain. Le projet a toutefois été accueilli par des critiques dans le pays, de la part d'experts craignant qu'il contribue à accroître les tensions régionales et estiment qu'il infléchit sensiblement la politique sécuritaire nationale. Pour calmer les craintes de son voisin soviétique (sic) , la Norvège s'était engagée avant de devenir membre fondateur de l'Otan en 1949 à ne pas ouvrir son territoire à des forces de combat étrangères "aussi longtemps qu'(elle) n'est pas attaquée ou menacée d'être attaquée". Le gouvernement norvégien fait valoir que des troupes de l'Otan s'entraînent déjà régulièrement dans le pays et que le déploiement de troupes par rotations n'équivaut pas à l'ouverture d'une base américaine permanente. Jusqu'à présent, l'armée américaine disposait en Norvège d'immenses quantités de matériel militaire prépositionné dans des tunnels creusés dans les montagnes, mais pas de troupes. S'il retirait ses missiles balistiques de Kaliningrad? Today and tomorrow, NATO Defence Ministers will meet, and we will meet discuss how we will take forward the decisions we made at the Summit in Warsaw. Both on how to increase NATO’s deterrence and defence, and also on how to project stability beyond our borders. We will mark progress in plans for more NATO presence in the eastern part of our Alliance, and also in the Black Sea region. And we will discuss Russia’s recent military activity along our borders. Close to our borders, Russia continues its assertive military posturing. Including with massive, non-notice exercises. This month alone, Russia has deployed nuclear-capable Iskander missiles to Kaliningrad and suspended a weapons-grade plutonium agreement with the United States. And Russia continues to destabilise eastern Ukraine with military and financial support for the separatists. These moves do not lower tensions or restore predictability to our relations. On NATO’s southern neighbourhood, Russia’s continued support for the Assad regime in Syria is also deeply troubling. Russia has resumed the bombing of Aleppo which is exacerbating a humanitarian catastrophe. Men, women and children are dying every day. Killed by disgraceful attacks on their homes and even their hospitals. And I call on Russia to show real efforts to restore a cessation of hostilities and allow humanitarian access to Aleppo. The deployment of the Kuznetsov carrier group to the Eastern Mediterranean raises concerns that these assaults could increase. We need to see an end to indiscriminate attacks. Dialogue is especially important when tensions run high. And NATO is committed to pursuing both strong defence and dialogue with Russia. Later today, we will take decisions on our planned training and capacity-building in Iraq. We will consider the future of our Aegean deployment. And decide on a possible maritime role for NATO in the Central Mediterranean, which could support the EU’s Operation Sophia. Tomorrow we will meet with EU High Representative Federica Mogherini and discuss how to enhance NATO-EU cooperation even more. Together, we are stronger, more capable of tackling the shared challenges we face. Just over three months ago at the Warsaw Summit, we can now conclude and convey a clear message that we are on the right track. We are implementing decisions we made at the Summit. And implementing decisions which will keep our people safe in a more dangerous world. And with this, I’m ready to take your questions. The U.K. said it would deploy tanks and drones alongside 800 troops in Eastern Europe, the first of several expected moves by the North Atlantic Treaty Organization to help counter growing fears about Russia in the region. The U.K. troops will deploy in the spring and will be joined in Estonia by forces from France and Denmark, said Michael Fallon, the British defense secretary. The force, he said, would likely include tactical drones, Challenger 2 main battle tanks, and Warrior armored infantry fighting vehicles. "That battalion will be defensive in nature, but it will be fully combat-capable," he said in an interview. In July, NATO approved a plan to position troops from four nations in Poland and the three Baltic states of Estonia, Latvia, and Lithuania. Canada, Germany, and the U.S. are also expected to release details of their planned NATO deployments when alliance defense officials gather Wednesday to discuss strengthening their defenses against Russia. Britain had previously committed to deploying a battle group but hadn't said precisely how many troops it would send or what kind of weaponry they would be equipped with. Recently, the Baltic countries experience increase in the number of violations of their borders by Russian military planes and ships. Below you can find infographics showing the latest incidents. Ils ouvrent enfin les yeux? NATO Secretary General Jens Stoltenberg has listed NATO member states that will participate in multinational battalions designed to strengthen the Alliance`s presence on the eastern flank and in the Black Sea region. ”Earlier this year, Canada, Germany, the United Kingdom and the United States each committed to lead a multinational battalion in the eastern part of the Alliance. I am proud to announce that many other Allies confirmed contributions to these forces today. Albania, Italy, Poland and Slovenia will contribute to the Canadian-led battalion in Latvia. Belgium, Croatia, France, Luxembourg, Netherlands, and Norway will join the German-led battalion in Lithuania. 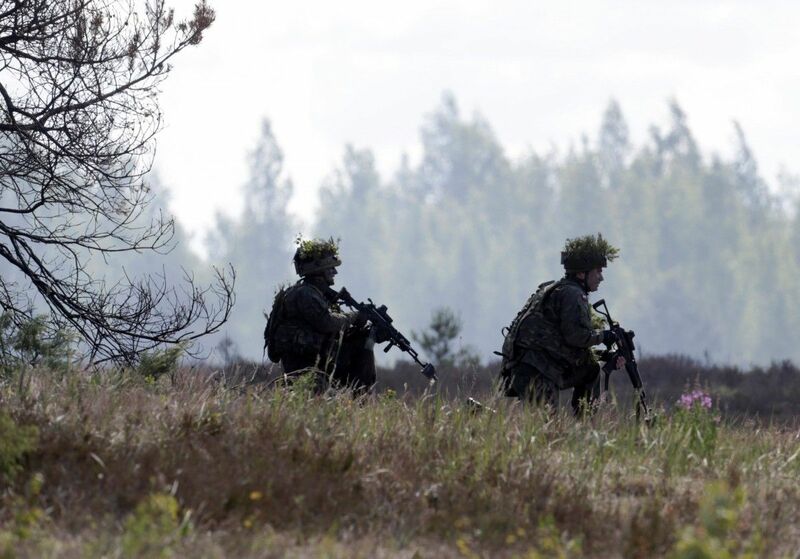 Denmark and France will contribute to the UK-led battalion in Estonia. And Romania and the United Kingdom will join the U.S.-led battalion in Poland,” he said after a meeting of the North Atlantic Council at the level of NATO Defense Ministers in Brussels on Wednesday, October 26. In his words, NATO forces will be truly multinational. ”Sending an unmistakable message: NATO stands as one. An attack on any Ally will be considered an attack on us all,” he said. He confirmed that as it was decided at the NATO summit in Warsaw, Poland, these four battalions are expected to be deployed in early 2017. ”I am pleased to confirm that we are on track. This Alliance does what it says. And we deliver on our promises,” he said. ”Today we also discussed progress in strengthening NATO`s presence in the Black Sea region. With a Romanian-led multinational framework brigade on land. And we are working on measures in the air and at sea. And I`m pleased to confirm that several nations indicated their willingness to contribute to our presence in the Black Sea region, on land, at sea and in the air. Including Canada, Germany, the Netherlands, Poland, Turkey and the United States,” he said. ”Other Allies are also looking into how they can contribute,” he added. Stoltenberg said that more details about the configuration of the brigade would be known in February 2017, at the next meeting of NATO Defense Ministers. Ukrainian Deputy Prime Minister for European and Euro-Atlantic integration Ivanna Klympush-Tsintsadze has discussed deepening of cooperation to study and counter the Russian information war against Ukraine with the Chairman of the NATO Center of Strategic Communication in Riga Janis Sarts. The Office of deputy prime minister for European and Euro-Atlantic integration said on the official Facebook page on Thursday, that one of the main directions of the Research Center is Russian aggression against Ukraine, in particular, hybrid warfare and its information component. "Therefore, the cooperation is especially important for our country, because it is important to understand what methods are used by the Kremlin, and how to counter them," the report says. At the same time, it is noted that Ukraine already has some experience in this area, so the further deepening of the cooperation will be beneficial for NATO, too. "I look forward to closer cooperation with the NATO's Center of Strategic Communication in Riga. Russian aggression must be fought by all means," Klimpush-Tsintsadze said during the meeting with Sarts. Canada will send troops to the Black Sea region to combat Russian influence there, NATO Secretary General Jens Stoltenberg announced Wednesday. “I’m pleased to confirm that several nations (including Canada, Germany, the Netherlands, Poland, Turkey and the United States) indicated their willingness to contribute to our presence in the Black Sea region, on land, at sea and in the air,” Stoltenberg said. The deployment is in addition to the troops Canada has already committed to Operation Reassurance in Eastern Europe. Department of National Defence spokesperson Evan Koronewski confirmed the Black Sea deployment. It will include F-18s stationed in Romania and a frigate in the Black Sea. Stoltenberg said he intends to confirm the plans by the next meeting of NATO defence ministers in February. Stoltenberg also announced a land brigade in Romania, but Canada will not be part of that, Jordan Owens, press secretary of Defence Minister Harjit Sajjan, said Thursday. Romania, Russia, Ukraine and Turkey are among the countries that border the Black Sea. Turkish President Recep Tayyip Erdogan has described it as “almost a Russian lake” as a result of the Russian military presence. Canada has 220 armed forces members deployed in Poland as well as about 250 aboard the HMCS Charlottetown as part a maritime task force formed by NATO. The HMCS Charlottetown could deploy to the Black Sea or, if its rotation is up by the time the order to move comes, the frigate replacing it will go. Rona Ambrose, the interim Conservative leader, criticized Justin Trudeau’s government this week for its failure to disclose basic facts about Canadian troops fighting ISIL. Stoltenberg’s announcement comes on the heels of rising tensions between Russia and NATO following the breakdown of a ceasefire on Oct. 3 brokered by the two countries in Syria. For Operation Reassurance, about 4,000 soldiers divided into four battalions will deploy in Poland, Lithuania, Estonia and Latvia. Canada is leading the battalion based in Latvia. Stoltenberg announced that Albania, Italy, Poland, and Slovenia would contribute to the Latvia battalion. NATO is holding a civil emergency exercise in Montenegro while neighboring Serbia prepares for joint training with 150 Russian paratroops, according to the BBC. Russia dislikes Montenegro's policy of increasing ties with NATO and the EU, the BBC reports. There have also been arrests in Montenegro and Serbia over a suspected plot to topple outgoing Montenegrin Prime Minister Milo Djukanovic. In addition, a large arms cache was found near the family home of Serbian PM Aleksandar Vucic on Saturday. There are suspicions that the arms were to be used in an assassination attempt against Mr. Vucic, a pro-EU reformer, though he himself played down that theory. In Montenegro, officials have accused Russia of plotting against Mr. Djukanovic. The four-day NATO exercise in Montenegro began on Monday, and involves NATO's Euro-Atlantic Disaster Response Coordination Centre (EADRCC). Focused on the Niksic area, the aim is to practice for a major flood or chemical emergency. There are 680 participants, from 32 NATO and partner countries. Israel, Azerbaijan and Kosovo are among the non-NATO countries involved. Russian Security Council chief Nikolai Patrushev paid an unexpected visit to Belgrade last week. The Serbian-Russian military exercise, starting on Wednesday, is called "Slavic Brotherhood 2016". Units from Belarus will also take part. The Russian military says the drills will take place near Belgrade, until 15 November. Serbia has, nevertheless, increased ties with NATO over the years, including membership of the alliance's Partnership for Peace program. NATO's bombing of Serbia and Montenegro in 1999 and its intervention in Kosovo left a legacy of bitterness among Serb nationalists. 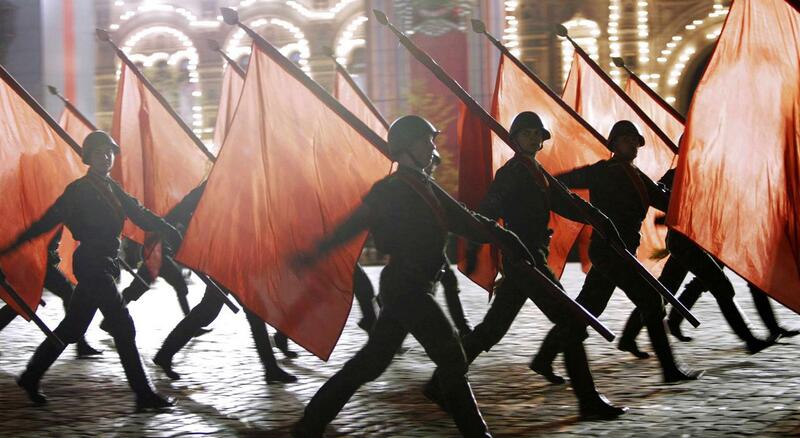 Russia has forged close ties with some of them, reviving centuries-old pan-Slavic patriotism. NATO's action resulted in the ousting of former Yugoslav President Slobodan Milosevic. The nationalist leader died in 2006 while on trial in The Hague for war crimes. Since splitting from Serbia in 2006, Montenegro has forged close ties with the EU and NATO. It is expected to join NATO early next year, but EU membership is not likely before 2020. Montenegro, with a population of some 630,000, has in recent years seen an influx of Russian money, homebuyers and tourists. Sovereign and stable Ukraine is a key element of the Euro-Atlantic security, Head of the NATO Liaison Office in Ukraine, Alexander Vinnikov states. “Independent, sovereign and stable Ukraine, which has transferred to the rule of law is a key element of the Euro-Atlantic security. We believe that this will be the best response to Russian aggression,” Vinnikov said during the “NATO’s support to Ukraine” press conference held at Ukrinform. He noted that the comprehensive package of assistance includes not only military reforms but advisory assistance as well. "The reform package is not just a military reform. It is a comprehensive response to the difficult situation on security issues. The events are aimed at two issues: support of reforms and advisory assistance. The NATO standards are not only technical standards. They also include certain values: human rights, implementation of reforms,” the head of the NATO Liaison Office in Ukraine said. Director of the NATO Information and Documentation Centre in Ukraine, Natalia Nemylivska added that the Alliance also helps Ukraine fighting the information war. “Our goal is also to assist Ukraine in fighting with hybrid threats, particularly the information war,” Nemylivska said. She noted that the assistance in the field of strategic communications also remains an important direction. "The strategic partnership aims at assisting Ukraine so that governmental communication can take place efficiently and on time. Among most important changes, which we’ve managed to achieve, is a change of mentality. There is a growing awareness that strategic communication is important. The second is a change of procedures. They are penetrating into political institutions,” Nemylivska added. Question: How would you comment on the Norwegian government’s decision to deploy 330 US marines on its territory? Maria Zakharova: Naturally, this fact has not escaped our attention. We believe that it contradicts the Norwegian policy of not deploying foreign military bases in the country in times of peace. The fact that at the current stage it’s a matter of just 330 US marines to be deployed in an area fairly remote from Russia is small consolation. According to the Norwegian Defence Ministry, the US contingent may conduct manoeuvres throughout the entire country, apparently including the North as well. As for the fact that this deployment will be rotation-based and not permanent, it should not mislead anyone as individual servicemen will be rotated, while the presence itself will be permanent. This decision by the government of Norway appears to be yet another link in a chain of US-led military preparations that have markedly intensified lately against the backdrop of the anti-Russian hysteria. This move in no way helps maintain stability and security in Europe’s North. A key Russian defence figure says the deployment of US Marines at Værnes is part of a US buildup to go on a "global blitz" and warned that Norway may make itself a target for a potential nuclear attack. Frants Klintsevitsj, a deputy chairman of Russia’s defence and security committee, told TV2 that Russia views the presence of 330 Marines in Norway as a direct military threat that demands a reaction. Klintsevitsj, considered one of Russia’s most influential defence politicians, said that Norway may now be added to “the list of targets for our strategic weapons”. “This is very dangerous for Norway and Norwegians,” he said. “How should we react to this? We have never before had Norway on the list of targets for our strategic weapons. But if this develops, Norway’s population will suffer,” he warned. “Because we need to react against definitive military threats. And we have things to react to, I might as well tell it like it is,” Klintsevitsj added. Russia has on several occasions criticized the plans to deploy 330 US troops at Værnes. Norway’s defence minister, Ine Eriksen Søreide, has rejected those criticisms and insisted that the deployment does not constitute a US military base but is rather a test run that will be evaluated during 2017. “There is no objective reason for the Russians to react to this. But the Russians are reacting at the moment in the same way toward almost everything the Nato countries are doing,” Søreide said. Before joining Nato in 1949, Norway allayed Russian fears by pledging not to open its territory to foreign combat troops so long as Norway was not attacked or threatened with attack. Norway's government argues that Nato troops are already training regularly in the country and that the deployment of troops does not equate to the opening of a permanent American base. The US already has vast amounts of military equipment positioned in Norway -- notably in tunnels dug into mountains -- but no troops. Klintsevitsj’s remarks bring to mind similar Russian comments made about Norway’s neighbour to the south, Denmark. In March 2015, Russia's ambassador to Denmark warned that Danish ships will become Russian targets if Denmark joins Nato's missile defence system. “I don’t think the Danes fully understand the consequences of what will happen if Denmark joins the American-controlled missile defence. If it happens, Danish war ships will become targets for Russian atomic missiles,” Mikhail Vanin wrote in an opinion piece published by Jyllands-Posten. Manœuvres russes, déploiement massif de l’Otan : le come-back de la guerre froide ? AUX AGUETS – Tensions autour de la guerre en Syrie, manœuvres militaires de la Russie, déploiement massif de forces armées de l’Otan… : la guerre froide est-elle de retour ? LCI fait le point. Chacun défend son pré carré. Cristallisées par le conflit syrien, les tensions entre les deux anciens blocs de l’Est et de l’Ouest n’ont jamais semblé aussi prégnantes depuis la fin supposée de la guerre froide il y a 25 ans. Et de fait : outre la guerre en Syrie, plusieurs évènements récents tendent à montrer un refroidissement sans précédents des rapports entre la Russie d’un côté et l’Otan de l’autre. Dernière preuve en date de ces dissensions grandissantes : l’annonce faite lundi par des responsables de l’Alliance atlantique de la mobilisation de 300.000 soldats, censée permettre de faire face à une éventuelle agression russe, dans les pays baltes particulièrement. Des forces armées qui, selon le représentant britannique à l’Otan, Sir Adam Thomson, doivent pouvoir être déployées en tout juste deux mois. Fin octobre déjà, l’Otan avait acté le déploiement – effectif en 2017 – de quatre bataillons d’un millier d’hommes chacun en Lettonie, en Lituanie, en Estonie et en Pologne, quatre pays voisins de la Russie, qui se sentent plus vulnérables depuis la crise en Ukraine et l'annexion de la Crimée par Moscou en mars 2014. Car, si le Kremlin a toujours officiellement indiqué ne pas vouloir poursuivre son extension territoriale au-delà de la péninsule de la mer Noire, beaucoup ont du mal à y croire. Et les récentes manœuvres de l’armée russe ne sont pas d’ordre à rassurer les âmes craintives. Sans compter les quelque 330.000 troupes actuellement stationnées près de Moscou, les missiles balistiques installés dans l’enclave de Kaliningrad ou la suspension d’un accord sur le plutonium (nécessaire à l’élaboration des armes nucléaires, ndlr) avec les Etats-Unis, Moscou a multiplié ces dernières semaines les mouvements militaires. Des navires de guerre faisant chemin vers la Syrie ont par exemple été signalés en mer Baltique, dans la Manche ou en Méditerranée – avec une mini-crise diplomatique en conséquence – quand, quelques temps auparavant, des avions bombardiers avaient été interceptés au large de la Bretagne. "La Russie fait tout un tas de choses nouvelles et inhabituellesAdam Thomson, représentant du Royaume-Uni à l’Otan"
Qualifiées par le chef du renseignement britannique comme étant "de plus en plus agressives", ces manœuvres russes laissent les puissances occidentales circonspectes. Selon le ministre de la Défense d’outre-Manche, Michael Fallon, ces mouvements ont ainsi "clairement pour objectif de tester" les capacités de réaction des Européens et des Américains. Et Adam Thomson d’abonder : "La question à laquelle nous devons répondre est de savoir si nous avons la capacité de comprendre de manière satisfaisante le comportement de la Russie. La Russie fait tout un tas de choses nouvelles et inhabituelles." Mais pour l'ambassadeur russe auprès de l'Otan, Alexandre Grouchko, ce sont au contraire les Occidentaux qui mettent en danger la sécurité de l'Europe et non son pays. "L'Alliance est de plus en plus concentrée sur le développement et l'accentuation de sa politique militaire d’ostracisation de la Russie", a-t-il déclaré. "Et cette situation semble appelée à durer." De là à parler d’un retour de la guerre froide ? Rien n’est moins sûr. Pour l’instant, chacun défend son pré carré. Un nouveau missile russe capable de raser le Texas : info ou intox ? Caroline Fourest : "Nous avons aujourd'hui des candidats soumis à l'influence russe"
Le prochain coup de Vladimir Poutine risque d'être bien plus dangereux que les précédents. Et précipiter la fin de l'Otan ou créer les conditions d'une guerre mondiale. Il y a quatre ans, je prédisais l'invasion russe en Ukraine. Voici mon nouveau pronostic qui, pour beaucoup, sonnera comme une évidence: les pays Baltes seront les prochains sur la liste. L'invasion ne sera probablement pas directe. Et c'est là que la présidence Trump connaîtra sa première et plus importante mise à l'épreuve. Les desseins du président russe, Vladimir Poutine, sont clairs et sa stratégie globale. Mais elle diffère un peu de la perception habituelle des réalistes. Pour certains, Poutine est mû par des objectifs rationnels et défensifs: l'expansion de l'OTAN semble menacer la Russie et la Russie se protège. L'Occident étend sa sphère d'influence aux dépens de celle de la Russie et la Russie riposte. Et «la crise ukrainienne est la faute de l'Occident», pour reprendre les termes de John Mearsheimer. Bientôt la guerre dans les pays balte ? Trump déchu : cela me ferait plaisir mais que Poutine soit "envoyé au goulag" ou "mis hors d'état de nuire" serait le paradis. Poutine est encore plus dangereux qu'Hitler.